Yoko Saito, an acclaimed designer, quilter, author and teacher from Japan is known around the world for her ingenious use of taupe color. 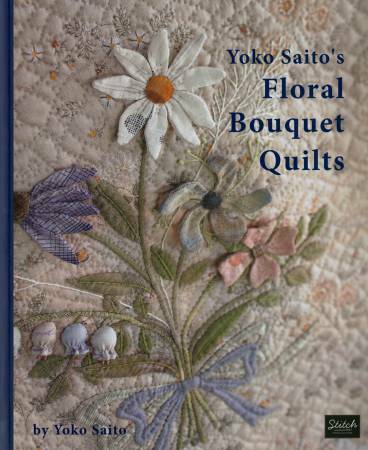 In this book, Floral Bouquet Quilts, she once again uses fabric and design to create exquisite works of art. She offers 29 different projects from pouches and bags to cushion covers and wall quilts, including an interesting three dimensional technique for flower petals. If you love Yoko Saito's designs, this book is sure to please you.